This post is part of my "Famous Women Artists" series where I turn the spotlight on different women artists on my blog. 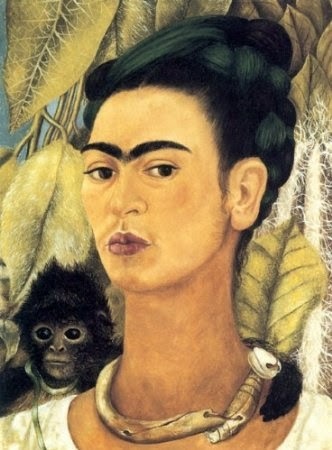 Blenda has asked me to focus on painter Frida Kahlo this week. 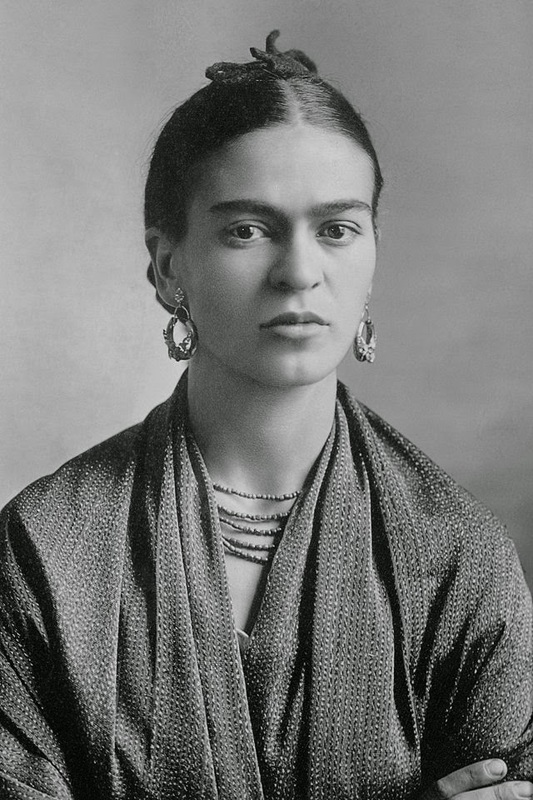 Frida Kahlo is best known for her self-portraits. She began painting after a car accident forced her into long periods of physical immobilization. Kahlo used a specialized easel that allowed her to paint in bed, and she chose herself as her main subject since she was so often alone. Her self-portraits follow Italian Renaissance ideals of an elongated neck and slender face. 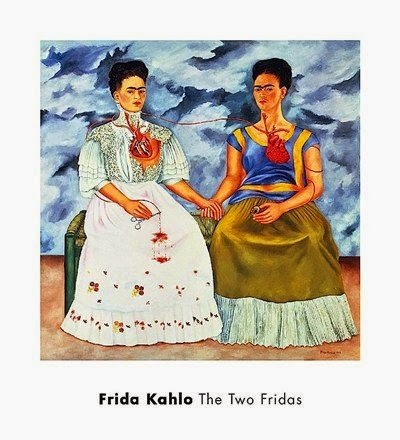 Kahlo is praised by modern Feminists for her resolute depictions of herself and her real experience as a woman. She painted the world as she saw it, never conforming to male ideas of how a woman "should" act or look. Frida Kahlo was born in a small town outside Mexico City, and her heritage played a large role in many of her paintings. 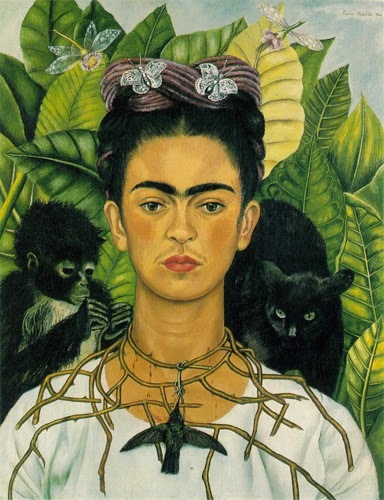 Ideas from Mexican mythology, like the symbolic monkey seen in both Self-Portrait with Monkey and Self-Portrait with Thorn Necklace and Hummingbird, and traditional religious themes feature prominently in her work. Kahlo formed a relationship with Mexican painter Diego Rivera, who she later married and lived with in her home "La Casa Azul." Rivera recognized Kahlo's talent and encouraged her to paint, even though their marriage eventually took a troubled turn. "Nothing is worth more than laughter. It is strength to laugh and to abandon oneself, to be light. Tragedy is the most ridiculous thing."